Glass Vessel Sink in Northern Lights with Waterfall Faucet in Chrome The VIGO Northern Lights glass vessel sink and matching waterfall faucet set is sure to bring celestial hues to your home. The VG07037 glass vessel bowl features a reddish-orange swirl pattern over a dark black-brown colour; resembling a view into outer space. Handmade with possible unique and slight colour variations, so no two sinks are identical. 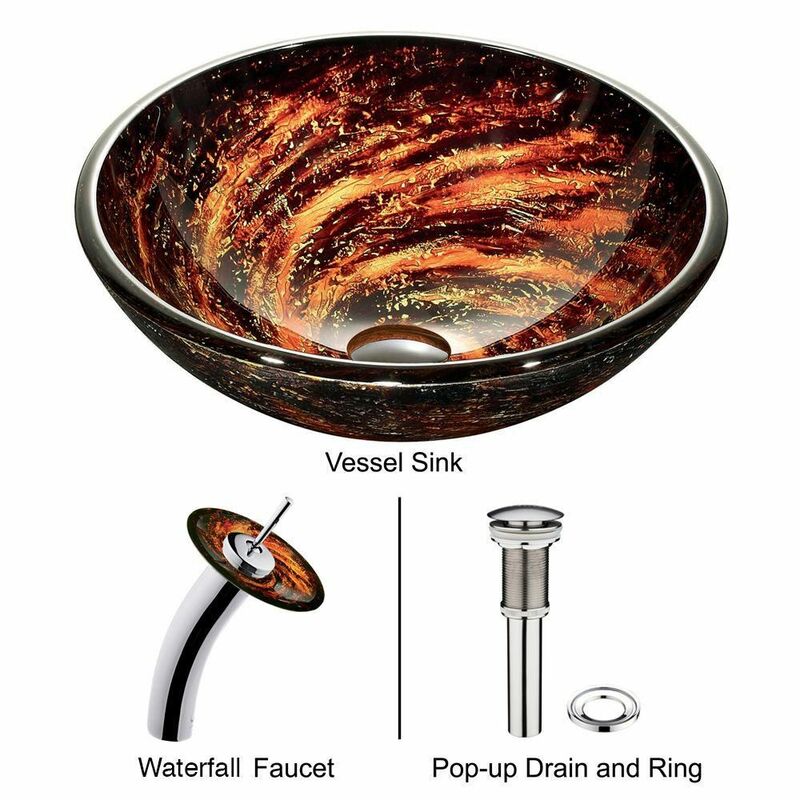 Glass Vessel Sink in Northern Lights with Waterfall Faucet in Chrome is rated 4.8 out of 5 by 11.